The more I dive into this blogging thing (blogging world, blogosphere? ), the more I am amazed by the sheer magnitude of bloggers out there. Lovely, talented, incredibly hard-working people. They are DIYers not only in the sense that some of them are craft bloggers, but in that ALL blogging is such a uniquely self-directed undertaking. No one is standing over your shoulder as you type out a post, giving you due dates for photos, or threatening to fire you if you don’t keep up with your social media posting. All of that is up to the blogger. Which is why I want to (and will) say it again and again. I admire bloggers so much for how hard-working they are. Don’t ever call blogging easy because I will flip my (peanut butter jar) lid. Blogging is so. much. work. Writing a post and taking photos is one thing. But people don’t see all of the tedious parts: editing photos, formatting posts, scheduling tweets, replying to comments, writing comments, writing captions, and just constant social media updates. I don’t want to sound like I’m complaining, because blogging is freaking amazing. It opens doors, fuels creative passions, and is just so satisfying. I guess the moral of my story is: bloggers are awesome. And I want to recognize some of them. So I've decided to put together a quarterly collection of blogs and Instagram accounts that I’m obsessed with. 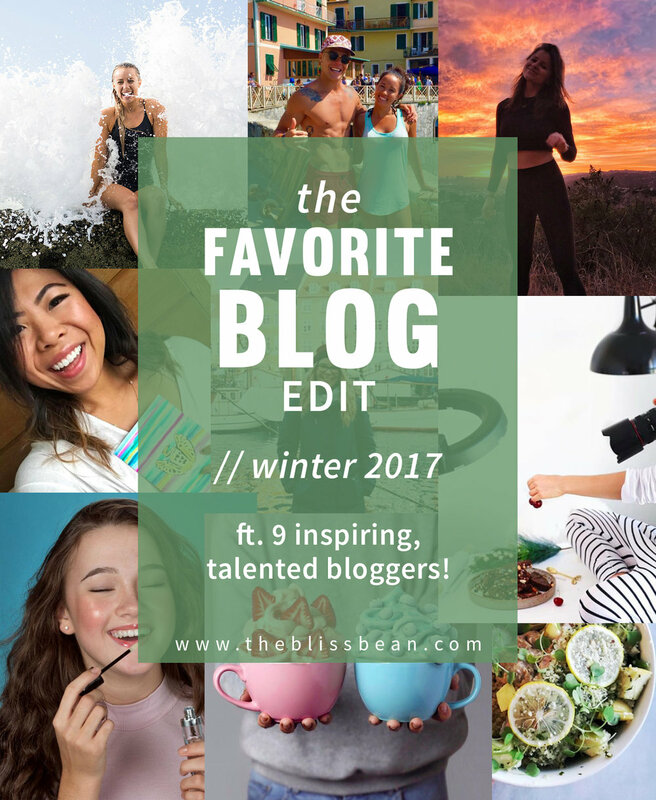 Kinda like my Loving Lately series, but nothing but bloggers! It’s the holidays, 'tis the season to share the love! Let’s start with the fact that she has the coolest Instagram handle ever. If you’re confused, it’s because she’s a flight attendant by day, health enthusiast by night. Or flight attendant by night, health enthusiast by day? The schedule of a flight attendant seems pretty insane, but she handles it 110% with all of her amazing salads in a jar, smoothies, and energy balls (which she sometimes takes photos of INSIDE THE PLANE!!). She has such an infectious smile and love for life. Oh, and she has a blog! I love her Gift Guide For Every Spice in Your Life (although I do hope you’ve got your gifts sorted by now, haha!). I’ve just discovered Sarah’s Instagram and then I found her YouTube and I was like aaahh. She is such an inspiring person. You can tell she spends eternities editing her videos and it pays off because everything looks SO polished. Her home is cute, her outfits are A+, and her personality is so bubbly. But I think what I love most of all is that she keeps it real. For example, she’ll share her long video editing sessions on her Stories to show how much hard work goes into those flawless-looking videos. Or this Instagram post about those days when you just need to take a night off to do nothing, rest, and cry. I had just had the same exact thing and it was so nice to read that, to feel like I wasn’t alone. If you’re looking for a video to watch first, I love this What I Eat + Day in the Life. I’m still trying to comprehend the fact that Jose is 16. SIXTEEN, people. Part of me is like - what am I doing with my life? And another part if just so gosh darn proud of this guy representing our generation. His smoothies are insanely, unbelievably, gravity-defyingly fluffy. His galaxy donuts actually look like outer space. And let’s not forget to acknowledge the fact that he painted the freaking Starry Night onto a smoothie bowl. This is a YouTube channel I found literally last night so I think it says something that I’m already including it on my list of favorites. This girl is 14, so yeah, I’m just so proud of people our age for making their own careers at such a young age *wipes tear from eye*. She seems like the sweetest person ever, someone who would honestly be friendly and kind in real life. Her parents seem very down-to-earth, too, and her videos with them are the cutest. A good video to start with is I Wear The Most Instagram Loved BRANDY MELVILLE Outfits For A Week. Ooh and I almost forgot to mention that she has her own makeup line!! It’s called Frilliance and you should definitely check it out. Chinae is the definition of a boss babe. Just check out her New York video for proof. She decided when she was 8 that she wanted to move to New York when she grew up, and she DID it. She worked hard, took all sorts of internships when she was in high school, visited New York at every opportunity, and she made it. She now lives in the cutest ever Brooklyn apartment, is an Adidas brand ambassador, has an event planning business, and has the sassiest, funniest Instagram and YouTube accounts on the block. I haven’t watched many of her videos, tbh, but I watched part of the very first one that she posted because I just knew it would be hilarious. If all you have is 10 seconds, skip to :32. Do you ever just feel like someone was born to blog? 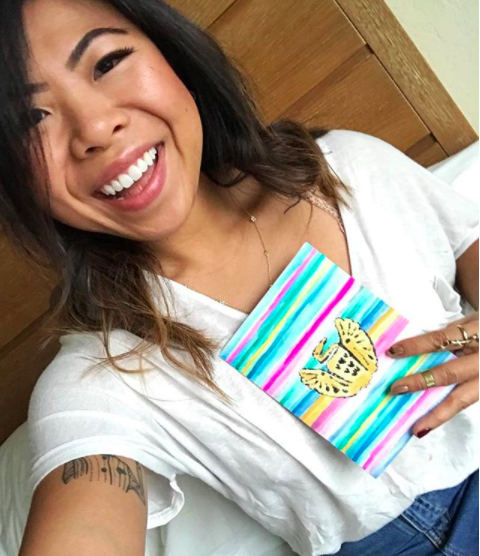 Like this lady, who has a colorful Instagram full of yummy food, oodles of health tips, perfectly written captions, thoughtful content, a beautifully designed blog, posts that feel like they deserve to be published in e-books, and just so much enthusiasm. I mean, as a follower of hers, I feel like I’m just watching a ticking time bomb, waiting for her brand to explode. For the time being, she is a huge inspiration to me and you must check her out. One of my favorite blog posts is Why I’m Obsessed With Meditating. I have a soft spot for my girl Leta because she’s Lithuanian, and so am I! (here are some posts where I talk a little bit about that if you're interested). I was actually surprised to see how many Lithuanian bloggers there are, and I’m pretty dang proud of our bunch :) I love visiting her blog because aside from the fact that it is really really aesthetically pleasing (ah pretty colors and fonts), it is chock full of helpful tips and inspiring travel stories. She had 5 hours to spend in Budapest and she made a whole trip and blog post out of it! That is a pro traveler right there. And her post about using Pinterest for blogging inspired me to start my own Pinterest account. I feel like Ben and Susie are my role models, ya know? These two have so much passion for life and they pour all of that into their blog. They are working hard to do what they love - travel, eat good food, and all the while crush fitness (Ben’s abs are referred to quite frequently as an example). Their writing is stunning, honestly. I think it takes a lot of talent to write in a way that’s easy to understand, flows smoothly, and has lots of little subtle moments of humor, and they constantly inspire me to push myself in the way I write for this blog. If you have just ONE MINUTE, watch this video. I watched it at like 1AM, after a long night of homework and blogging, and it was JUST what I needed to hear. Ooh, my last one! Out of all of these, I think I may have been following Lee the longest. Ah, I just checked her blog and saw that she has posted a Chewy Gooey Chocolate Chip Cookie recipe! (which reminds me of this SNL sketch that I find hilarious for some reason, but I digress). Lee is such an inspiration. She makes mouth-watering food, maintains an exciting and varied fitness routine, whips up the smoothest matcha lattes around, and strives to minimize her impact on the planet. Oh, and her photography is just out of this world. Whew, that’s all for my favorite blogs of the season! Obviously there are many, many more (I currently follow 728 people on Instagram) but there is just no way to feature all of them. So I encourage you to show some blog love whenever you can. Retweet a blogger’s post, send a quick little encouraging comment, shower the “likes”, and, of course, don’t forget to form friendships. Let's make the blogging world a friendlier placer. What are some blogs you read all the time?